Every year, over one million people in the United States sustain head and brain injuries, otherwise known as Traumatic Brain Injury. 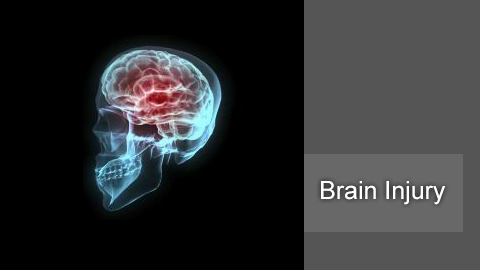 Traumatic brain injury is sudden damage to the brain caused by a blow to the head. The majority of head injuries are caused by car or motorcycle crashes, falls, sports injuries, and assaults. The consequences of a brain injury can affect all aspects of a person’s life including his or her family. A traumatic brain injury can also affect the victim’s physical and mental abilities as well as emotions and personality. Most people who suffer moderate to severe TBI will need rehabilitation to recover and relearn skills. Lavaee Law Group can help you receive monetary compensation which can help you or your loved one cope with the life altering effects of permanent head trauma. We make sure to get you the appropriate medical experts who will help prove the extent of the victim’s brain damage. Our firm can help assist you with a lifetime care plan for things like prescription drugs, doctors, transportation and full time nursing care. Brain injuries are devastating and life changing. While no amount of money can bring back your loved one back to normal, we will work aggressively to financially compensate you for your emotional, physical, and economic losses to the fullest extent of the law. If you believe that you have a brain injury claim, contact Lavaee Law Group today at 310-331-8484 or 1-888-97-97-97-8 for a free case evaluation and to speak with a brain injury attorney. Our lawyers serve the greater Los Angeles area including Beverly Hills, Century City, and Santa Monica.